Elastec/American Marine is the world leader in the design and manufacture of fire boom. In-situ burning is a valuable response tool that can eliminate 600 – 1,800 barrels of oil per hour with minimal resources. Hydro-Fire® Boom was the top rated and most successful fire boom used in the Gulf of Mexico during the Deepwater Horizon spill response. Hydro-Fire® Boom is a state-of-the-art inflatable fire boom. It is supplied as a complete system with 150m on a powered boom reel including an air blower, reel, power pack and two high capacity water pumps. 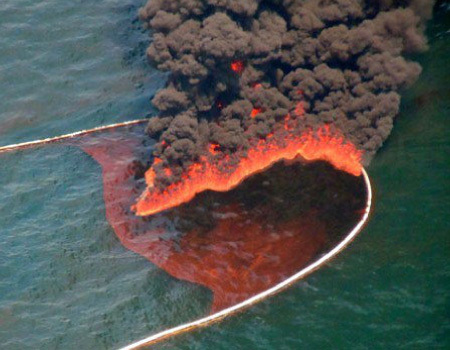 These fire booms undergo rigorous testing and was widely used during the Gulf of Mexico oil spill in 2010. 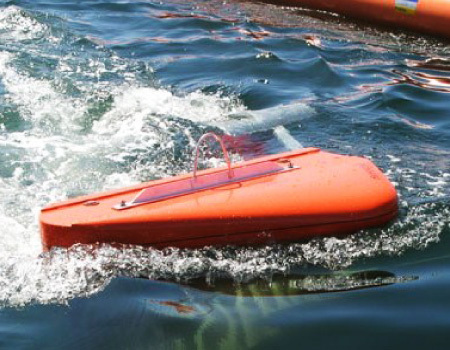 The BoomVane is a patented device for deploying oil containment boom into a wide range of waters. The BoomVane harnesses the power of the water current to tow oil containment boom. 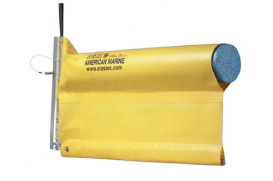 The BoomVane can be deployed from shore or from vessels in rivers, estuaries or open waters. 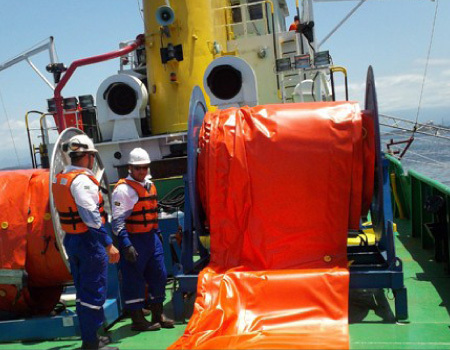 It enables the deployment of containment booms from shore without the need for a vessel. In open waters, the BoomVane can be used with a single vessel to enable a sweep system without the need for an outrigger arm. 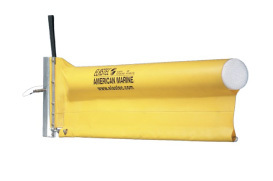 AirMax is a versatile inflatable oil containment boom manufactured from high quality urethane fabric. Foam panels can also be installed within the air chambers to provide additional integrity. AirMax booms are compact and quick to deploy and are offered in a range of sizes to suit many water conditions. A high buoyancy to weight ratio delivers excellent wave conformance and oil retention. A variety of sizes are available to suit river, harbour, offshore, open waters and deep sea. A full range of boom reels, blowers and power packs are available as accessories to complete the range. RubberMax is a durable boom with excellent resistance to the stresses and strains of operation. The boom is made from a choice of rubber compounds vulcanised with multiple plies of high tensile fabric encapsulated in a synthetic oil and weather resistant rubber. Manufactured according to international standards, the rubber and production process quality is verified using ASTM and international test procedures. RubberMax has exceptional wave riding characteristics. Superior materials combine to make RubberMax a tough alternative to other inflatable booms. RubberMax is available in four different sizes. Verde supply a full range of temporary liquid storage solutions. Towable bladders are temporary collapsible liquid storage containers that can be used to store oil or liquids. They are supplied with a tow bridle and carry bag and several sizes are available to suit all purposes. Pillow tanks are inexpensive temporary containers for the storage of liquids including waste waters and fuels. QuickTank is an affordable and quick to deploy temporary tank solution. QuickTank has a robust aluminium frame that supports the open top liner. QuickTank comes in a variety of sizes and fabric choices to suit a range of applications. 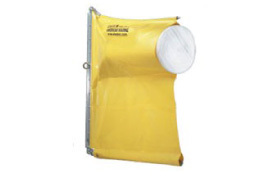 Collapsible liquid containment pools that can be used for many purposes including decontamination of equipment, personnel and containment booms. Serves as a temporary holding tank for used sorbents, leaking drums or other containers. Constructed with a heavy duty, oil and chemical resistant, ground liner with side walls. Verde supply a range of standard curtain booms for a variety of different applications. Our curtain booms are lightweight and easy to deploy and can be transported in trucks or small containers. All booms conform to ASTM standards and US CFR requirements. 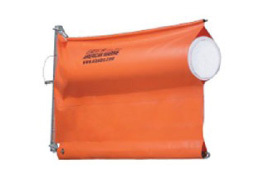 Curtain booms are fitted with a cylindrical closed cell foam flotation and a galvanised ballast chain. SuperSwamp is a lightweight containment boom suitable for use in streams, canals, ditches and other shallow and calm waters. Simplex is an industry standard oil containment boom. Its’ lightweight and reliable construction makes it ideal for shoreline protection. It is available in various sizes. Optimax I is an industry standard oil containment boom. Its’ lightweight and reliable construction makes it ideal for shoreline protection. It is available in various sizes. 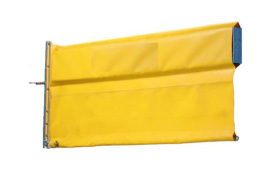 SuperMax Boom is a high buoyancy curtain boom suited to harbour and open waters. The high buoyancy to weight ratios of the boom provides excellent wave conformance and oil retention characteristics. 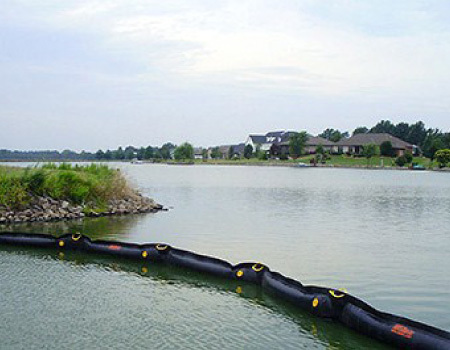 Economax is a lightweight and compact containment boom suited to protected and calm waters. The flat panel floats allow this boom to be folded into neat parcels that can easily be stored & deployed by hand. The Minimax & Maximax range of containment boom is a versatile line of boom, typically used for rapid deployment in ports and harbours for surrounding vessels or protecting resources. 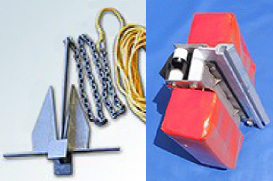 These booms are usually deployed in static or low current applications. The booms are also manufactured in fully welded pvc and fitted with handles and anchor points. MaxiMax boom comes in standard section lengths of 15m or 30m. MiniMax is also available in 7.5m sections. Custom sizes are available upon request. The boom is supplied with ASTM compliant interchangeable end connectors for rapid coupling of sections. End connectors are fitted with sacrificial Zinc anodes. 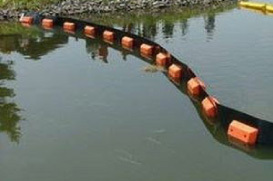 The PermaFence oil containment boom is designed for permanent installations and minimum maintenance. This heavy-duty boom is capable of withstanding long-term deployments and the arduous conditions of permanent installations. 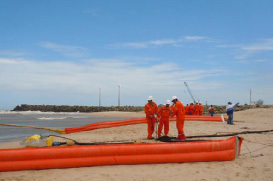 ShoreMax is a special purpose containment boom for use in shallow water environments or to transverse between the beach and the sea. 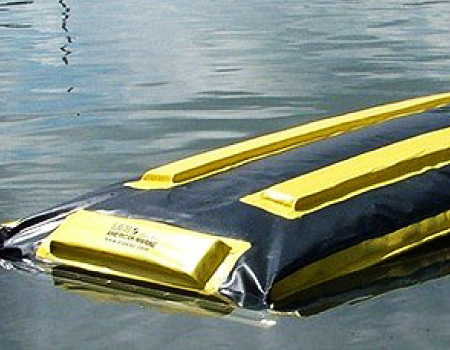 It is ideal for making the transition between a conventional floating boom and the shoreline. It is also used in marsh areas where water levels can rise a fall. 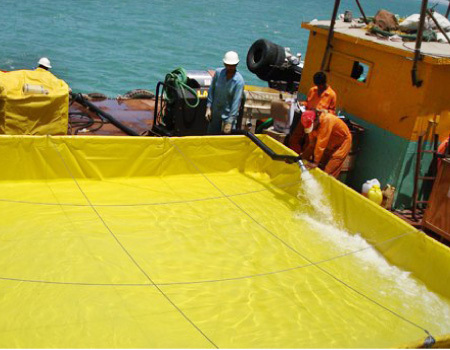 Verde can supply a full range of turbidity and silt curtains for many applications associated with remediation projects, dredging operations, marine construction projects, fish screens, etc. 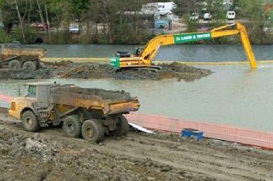 Whether your requirement is in fast or low flow or in shallow or deep waters, Verde can provide you with the right type of silt and turbidity barrier. 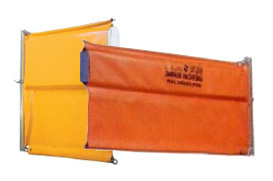 A full range of accessories for anchoring, mooring and deploying containment booms and curtains.